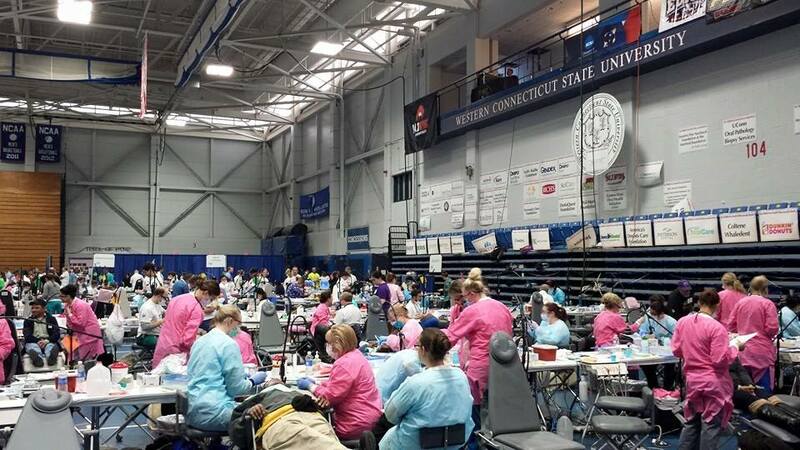 Every year, dental care providers throughout Connecticut gather at the Mission of Mercy, a free clinic offering services to patients both insured and uninsured. The event is only two days long, but patients line up days in advance and come from as far as Maine to take part in the services provided. 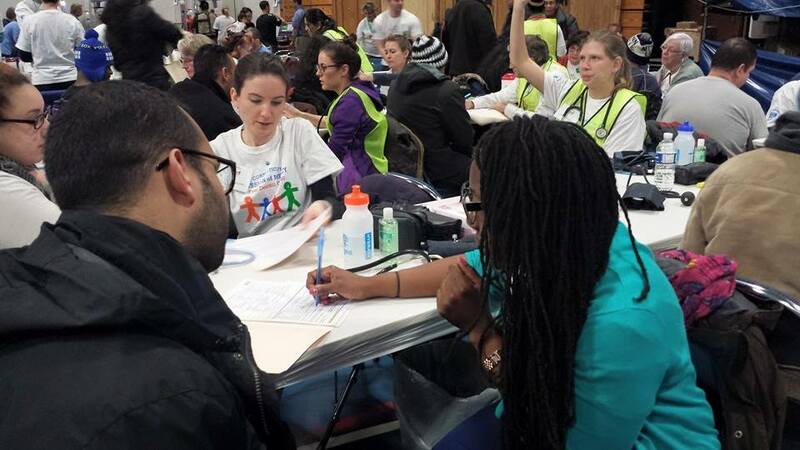 This year, Mission of Mercy set up its clinic in Danbury at the Western Connecticut State University’s Westside campus, with a bit of help from CHC’s AmeriCorps team. Though long and pretty exhausting, we were all exposed to an incredible team of dentists, hygienists, nurses, and surgeons who donated their time and supplies for an admirable cause. The first day of the clinic started out a little rocky, as the AmeriCorps team ambled into the site around 4:45 in the morning. After finding the very necessary coffee station, we set out to the dental clinic area. We were not the first ones there, though: a line of patients had already formed outside the doors. In fact, a number of people had stayed the night waiting in line, braving both cold and snow to be first in the doors at the 6:00 opening. The AmeriCorps members of the National Civilian Conservation Corps were even passing out hand warmers for patients to use to keep themselves from getting frostbite. The CT MOM experience was a hugely positive one. I witnessed firsthand the patients who finally received dental care after years without a checkup or cleaning. Even after a root canal or wisdom tooth extraction, some would return for a cleaning or another procedure, excited to have the opportunity to care for their teeth. I was deeply moved both by the hard work of the dental care professionals and the gratitude of the patients alike. For me, Mission of Mercy embodies the power of giving in the health care setting, and its positive effects throughout a community. As members of community health care, it is sometimes difficult to see how our day-to-day activities can impact a large group of people. However, in an event like Mission of Mercy, it is clear just how many people need affordable basic services, and the difference that these services can make in a person’s life. I have a renewed sense of gratitude for my work and the field I enjoy, and am excited to continue into the future. Service with Habitat for Humanity to finish Americorps Week!